If you have been awarded a settlement after a personal injury cases, you may wonder if you are now facing a large tax bill. Generally, you do not have to pay taxes on these kinds of settlements, but there are exceptions. Be sure to allow your personal injury attorney in Tracy help you understand your legal obligation to pay taxes on your winnings. This information will also help you understand the tax burden of legal settlements. In most cases, if you are awarded compensation for physical or emotional injuries and medical expenses, you will not have to pay taxes on that money. This money is supposed to compensate you for your out-of-pocket expenses associated with the injury, so it is not considered to be income. This includes pain and suffering compensation, as long as it is included in a rule of compensatory or general damages. 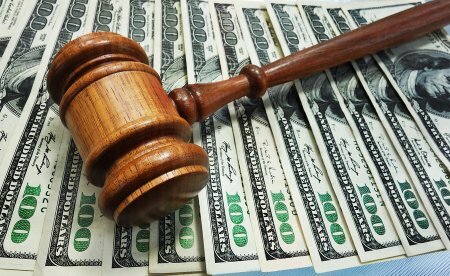 If you are awarded any compensation for pain and suffering as punitive damages, that money is usually taxed. Your attorney can help you understand the kind of damages you have received, or he or she may recommend that you consult with a tax expert. When you receive compensation for property that was lost or damaged in the course of the incident that led to your injury, this money is not usually taxable. For instance, if you receive money to compensate you for car repairs after an auto accident, you typically will not have to pay taxes on that money. Compensation for lost income can be a little more complex. Usually, this kind of compensation is taxed, because your income would have been taxed if you had earned it as normal. Often, lost income compensation is bundled in with other compensatory damages that are not taxed, so you will need to know exactly how much of your settlement or award is designed as lost income compensation so that you pay taxes appropriately on that amount.